A$AP Rocky has never shied away from embracing the young talent in the game. He's always kept his ear to the underground, generally being ahead of the curve when it comes to new talent. For his "Injured Generation" tour, the rapper one of Soundcloud's most prominent up-and-comers, Comethazine, along with Playboi Carti and Ski Mask The Slump God. 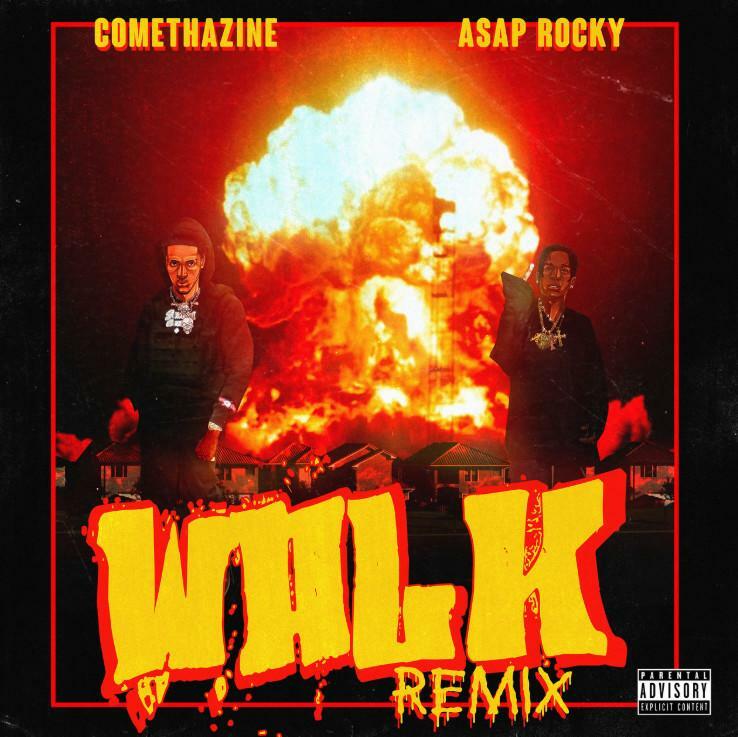 Now, Rocky links up with Comethazine for the remix of "Walk." Comethazine debuted the remix to his single "Walk" with A$AP Rocky on Zane Lowe's Beats1 Show earlier today. Rocky kicks off the track flexing his volatile flow before shifting back into Cometh's original version. Although the track served on Comethazine's debut project, he explained that he and Rocky only got it done after the release of Bawskee 2 which arrived at the top of the year. "Oh, yeah. This album would be 2, this was after Bawskee 2 had already came out. But Rocky, he been reached out to me about the record. Yes, since before B2 actually, but we hadn't did it yet. But when we did it, we got it done," he said. Peep the remix below and sound off with your thoughts in the comments. Rico Recklezz Drops Off Haunting Banger "Tommy"